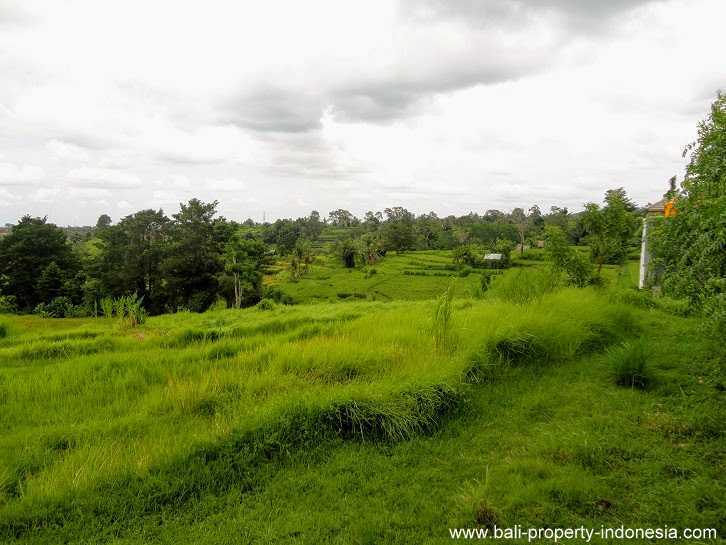 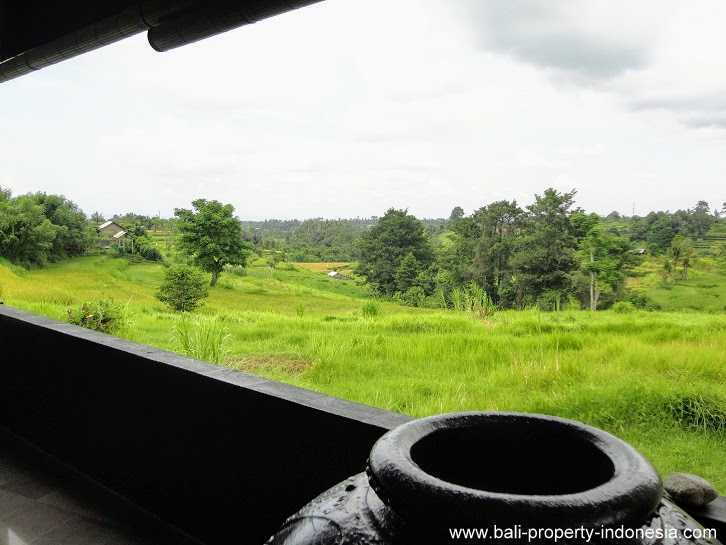 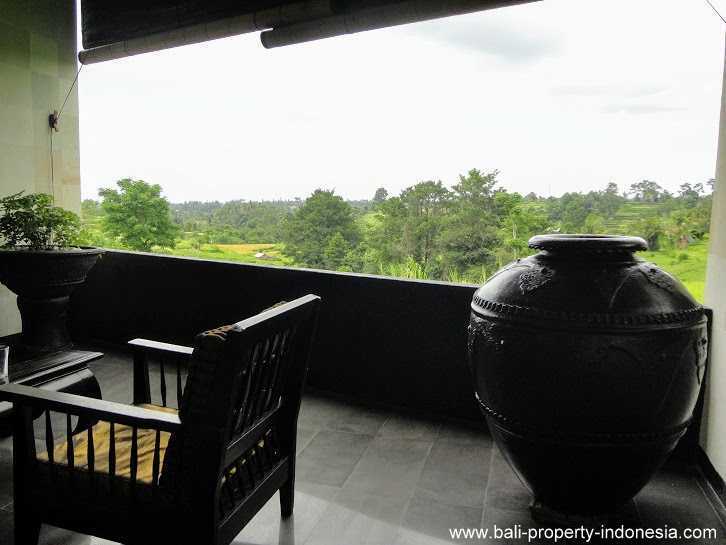 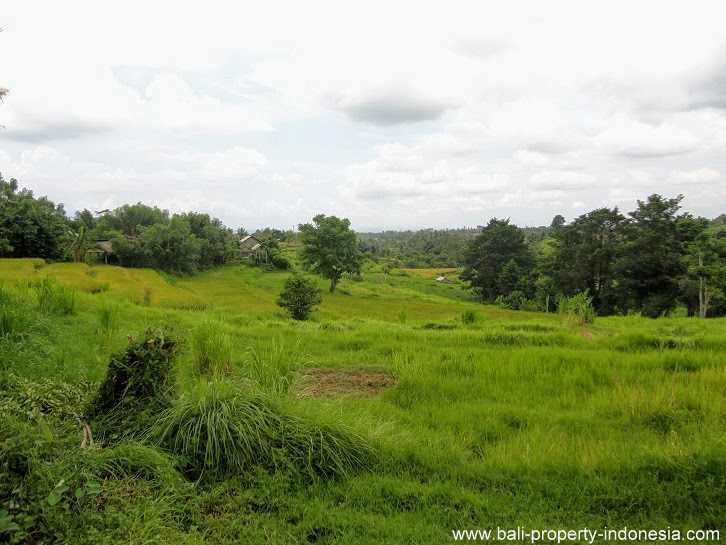 This 2 bedroom modern villa has a view like an old Indonesian landscaped painting; workers in the rice paddies, mountains and even the ocean. 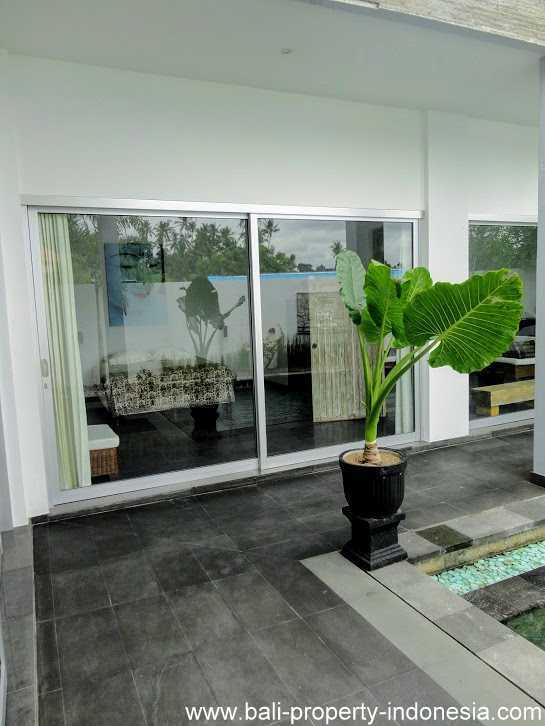 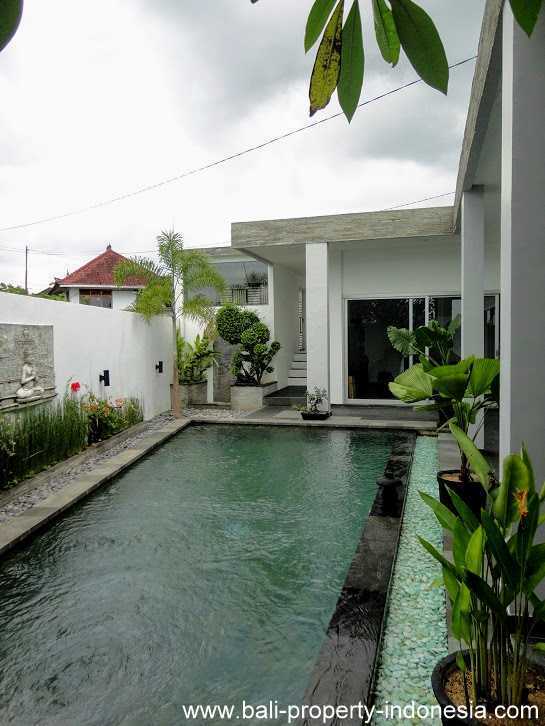 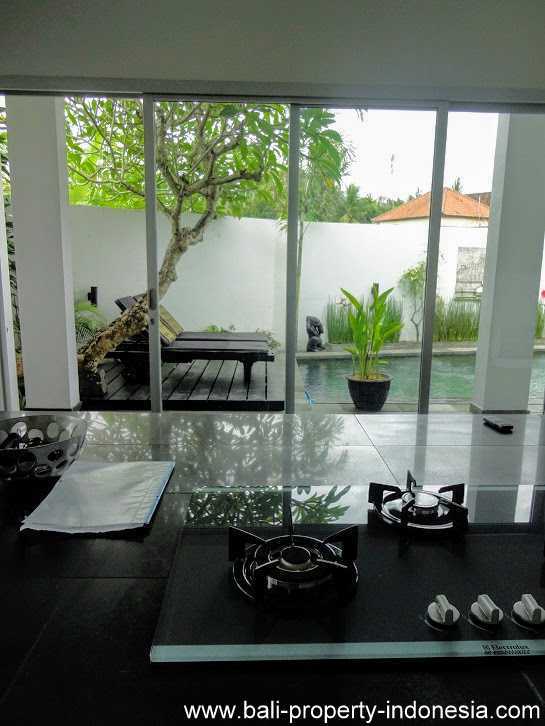 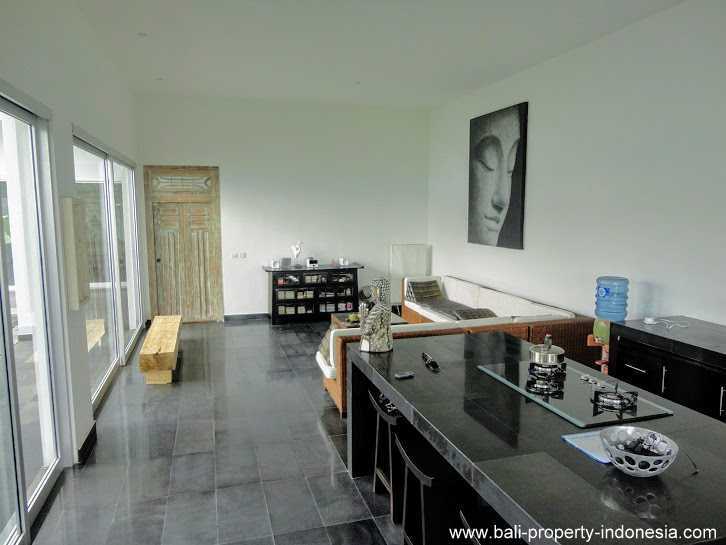 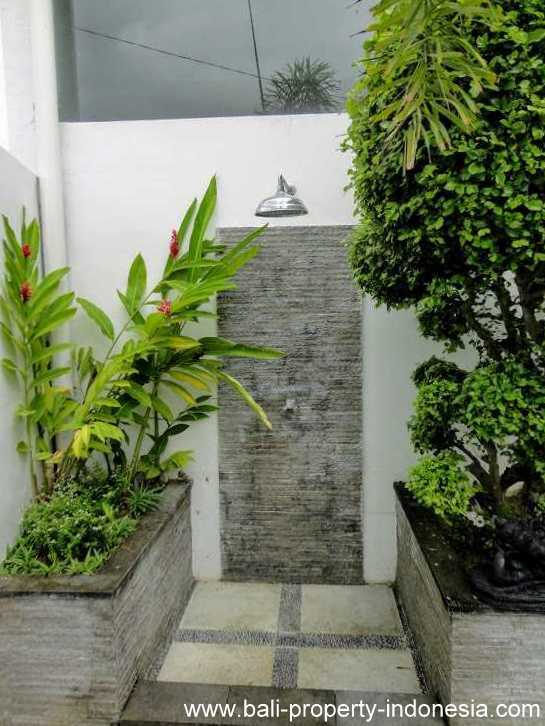 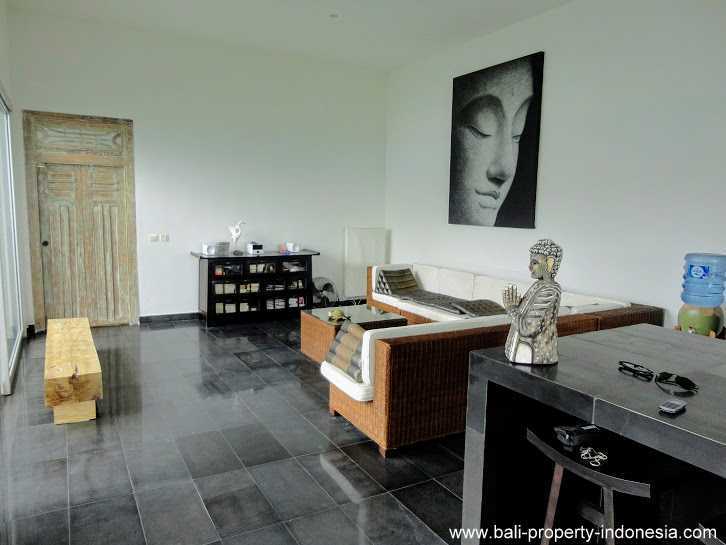 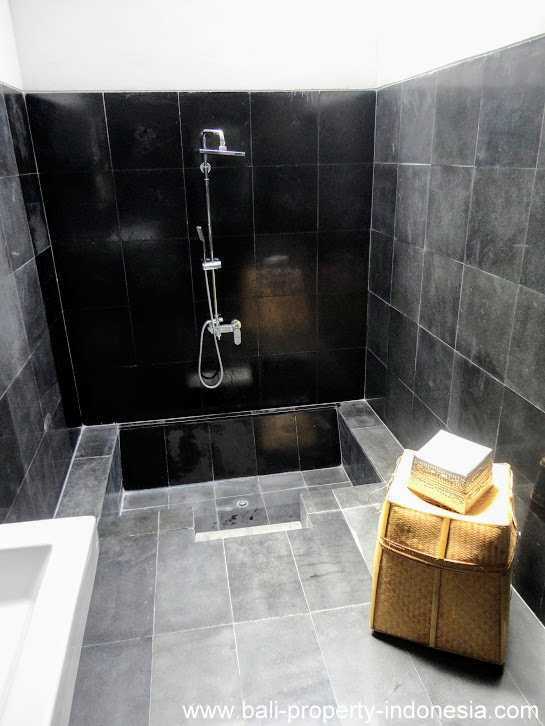 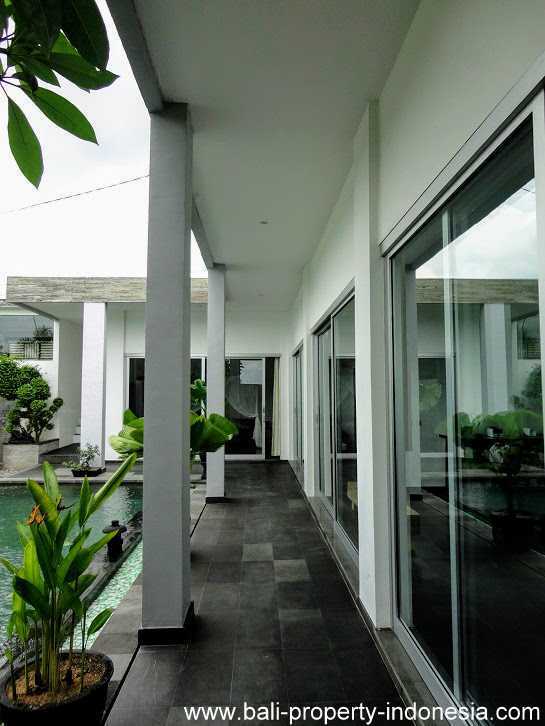 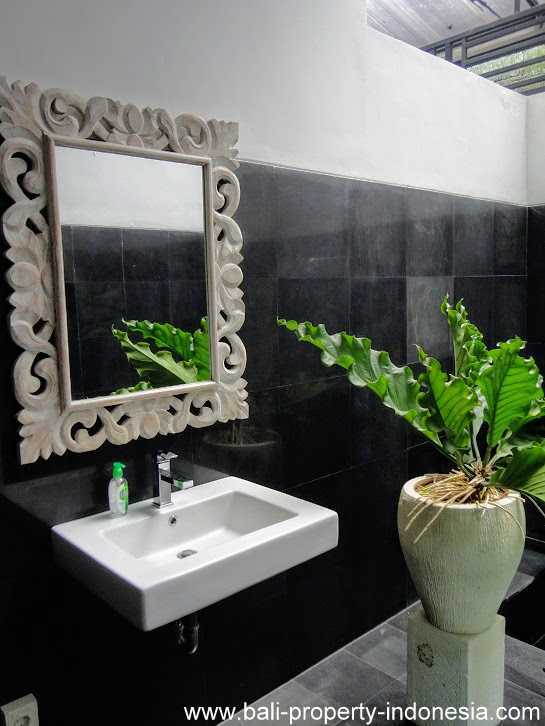 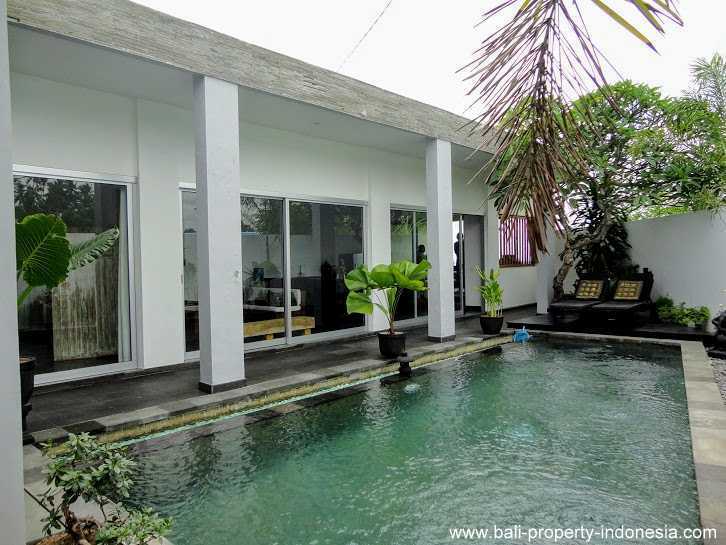 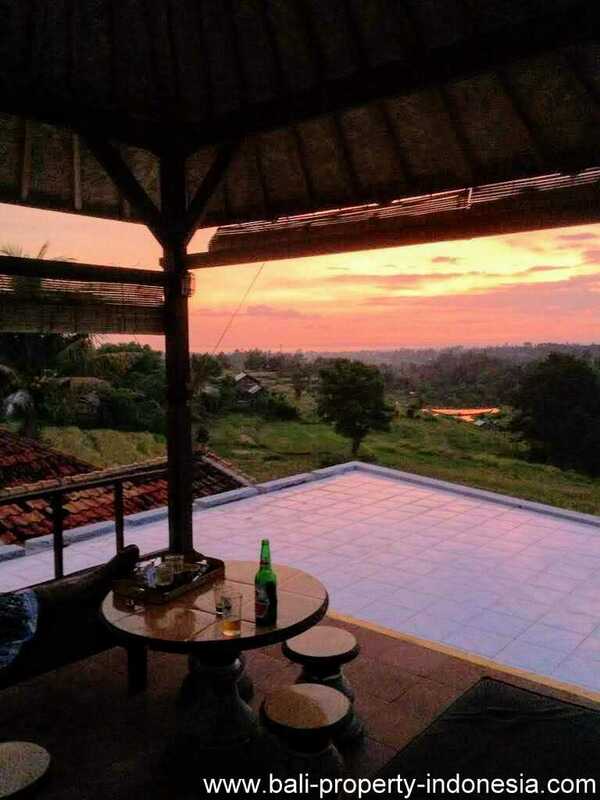 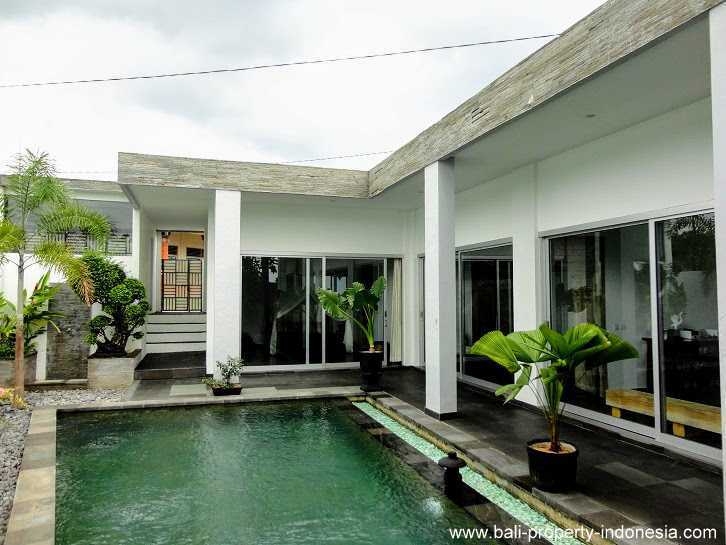 All can be seen from this modern style villa located in the area of Klungkung. 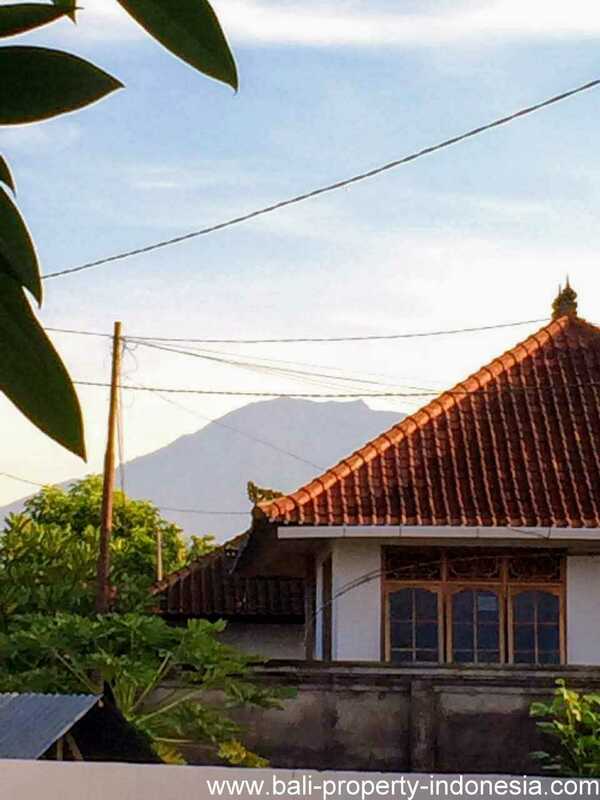 A villa with the majestic Mount Agung in the back. 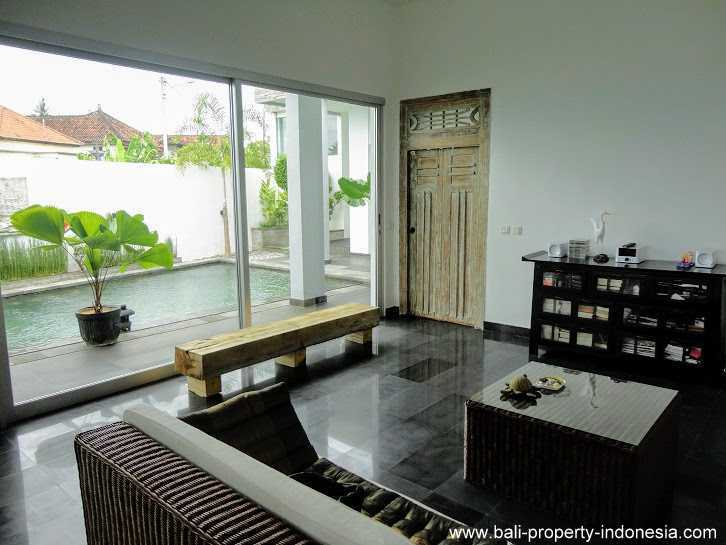 This modern style villa offers you 2 bedrooms en-suited. 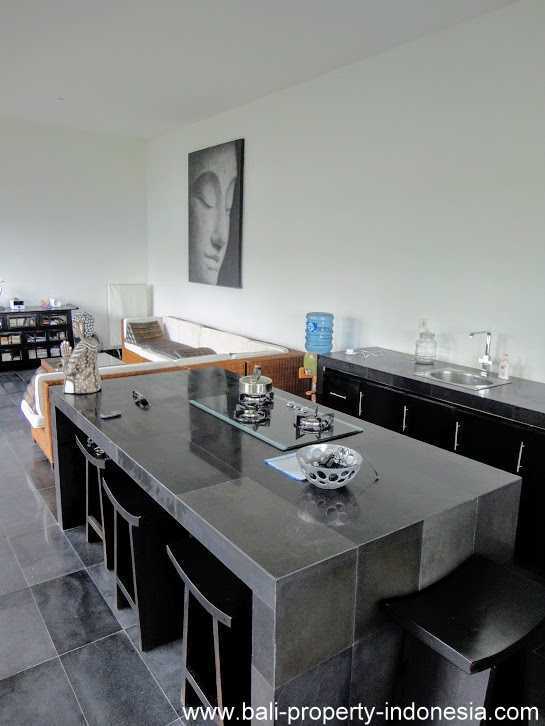 The master bedroom is connected to the living room with its open kitchen area. 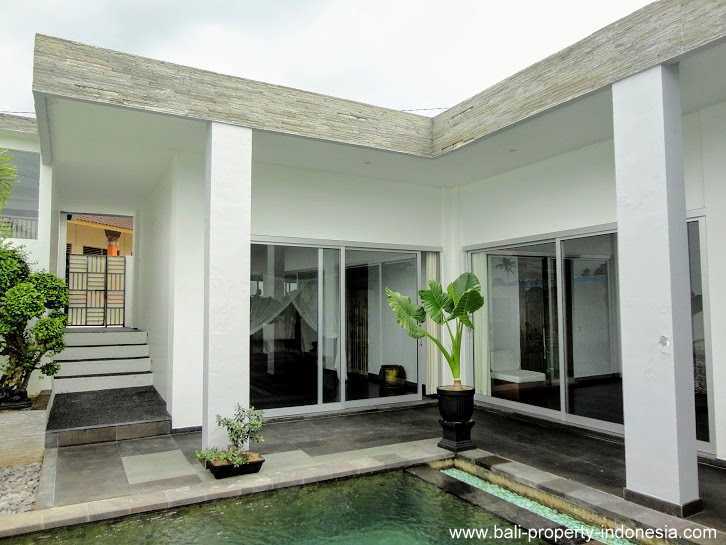 The space where you probably will spend the most time will be the terrace at the back of the villa. 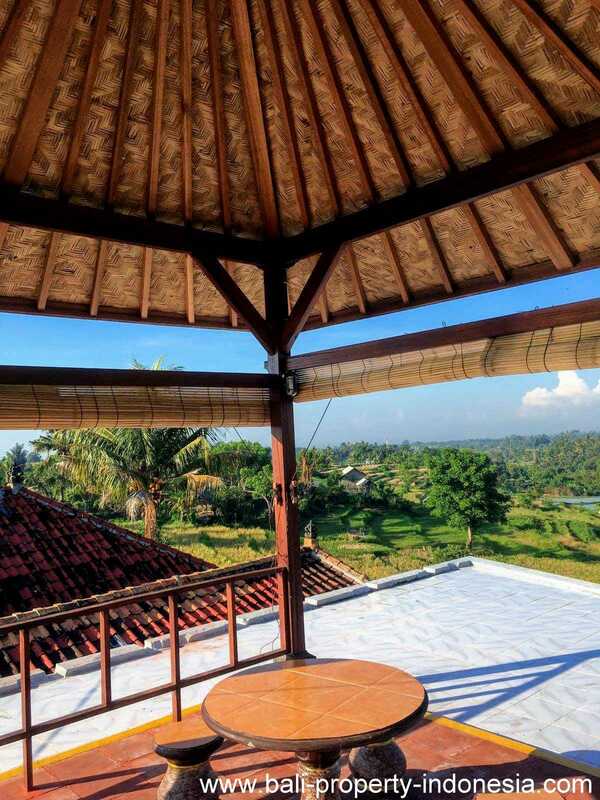 This covered terrace is the part of this villa which has the best views. 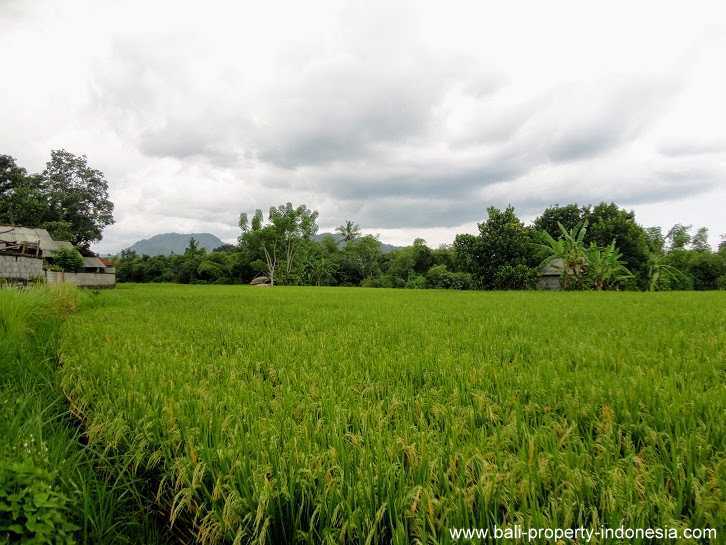 From here you can see the rice paddies at its best. 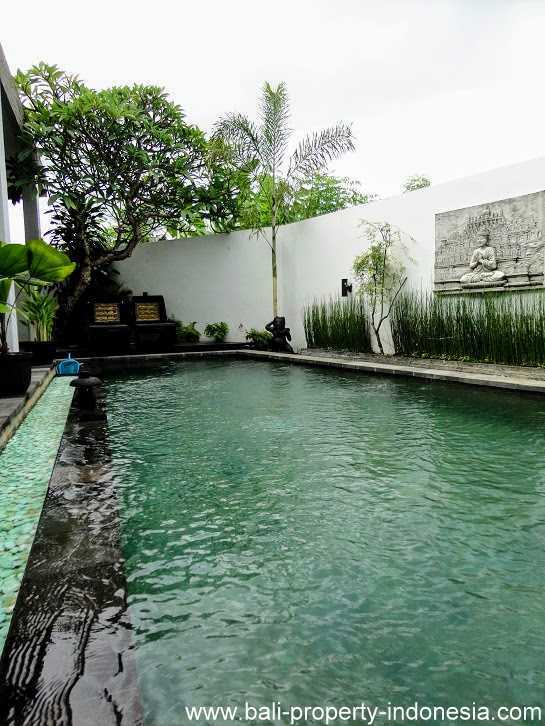 In the garden you will find a well sized swimming pool. 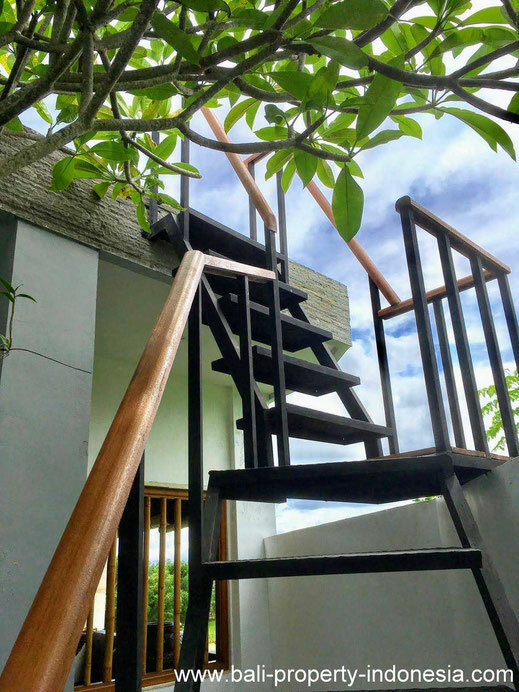 A stairs will lead you to the roof where you will find a gazebo (finished May 2017) from where you will have a 360 degrees view. 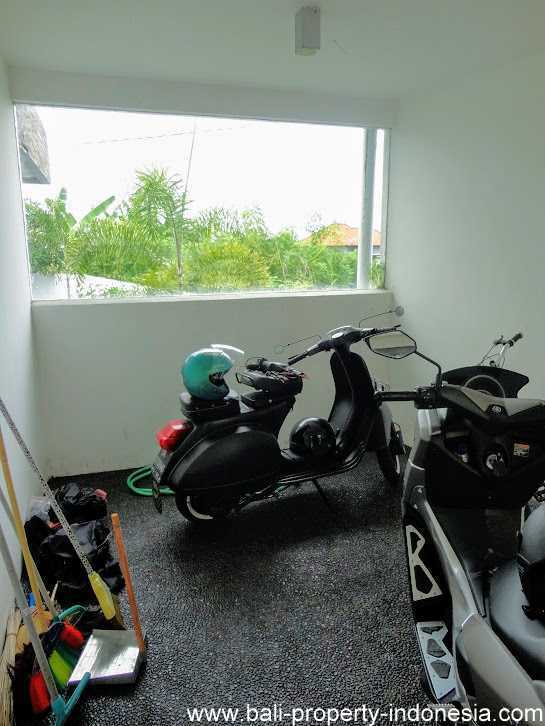 The villa is having its own garage which is large enough for 1 car. 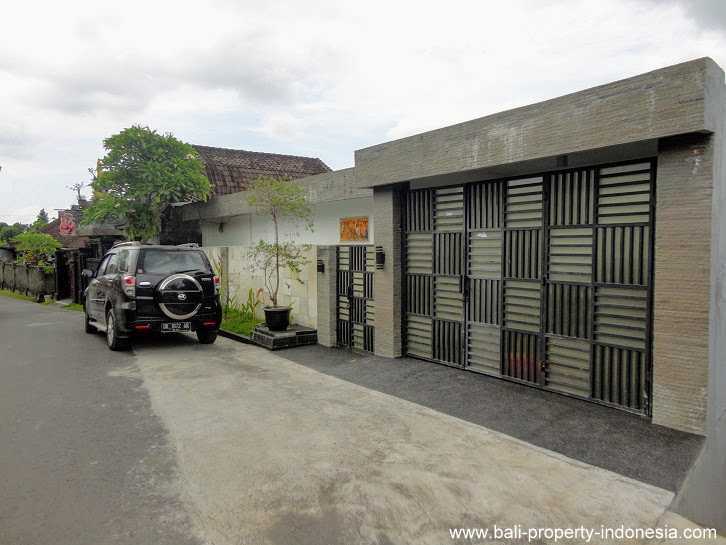 An additional car can be parked in front of the villa. 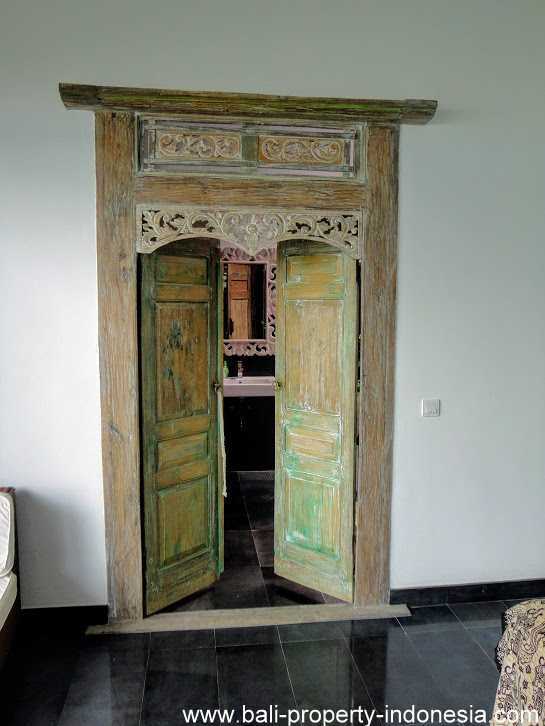 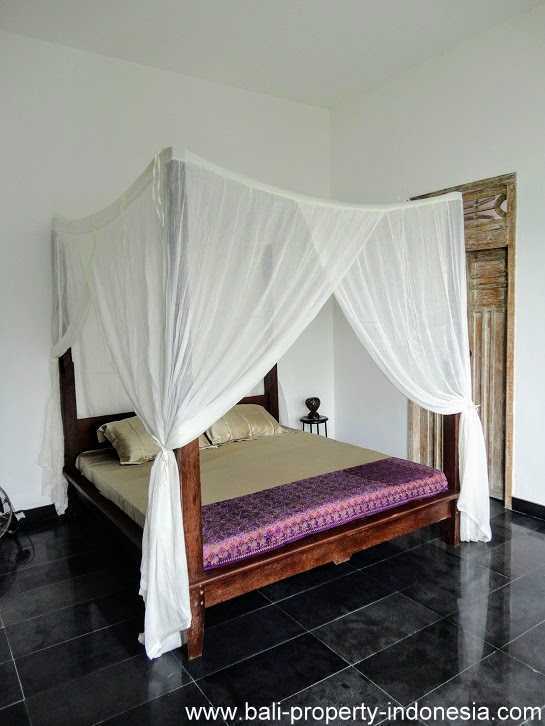 This Klungkung villa is located in the village of Semarapura. 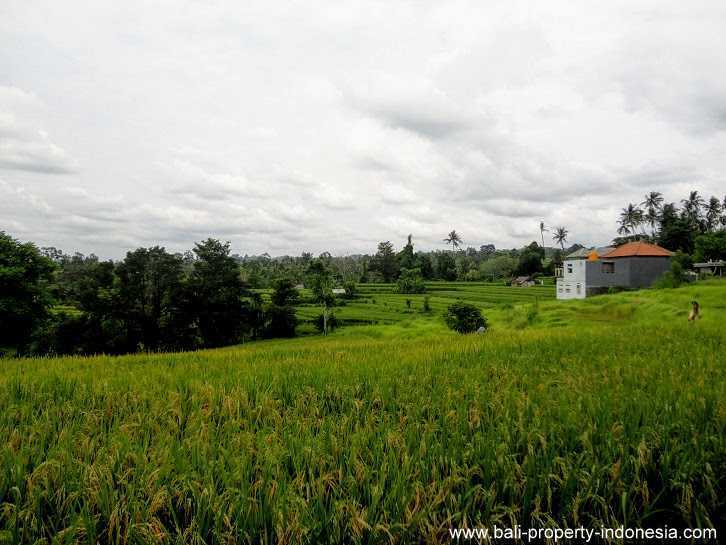 Just walking out of the villa and you can already hike through the rice fields. 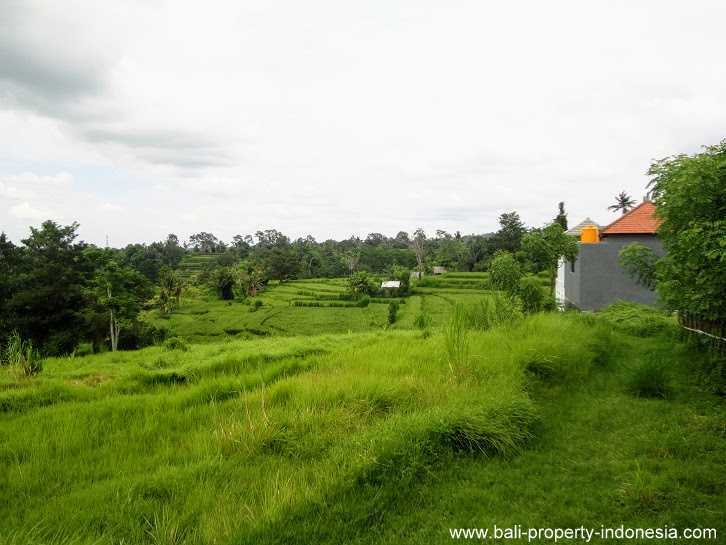 Or do like the current owner and take your pushbike and do a ride through the villages. 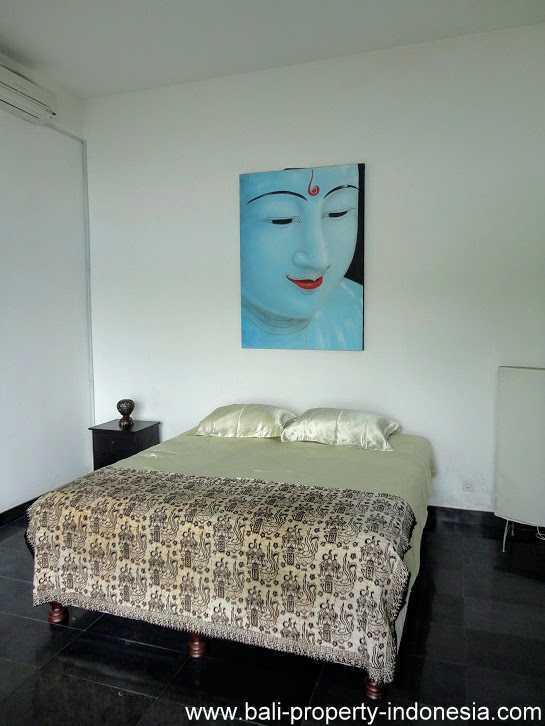 At less than 5 minutes driving, you will find a large Buddhist temple. 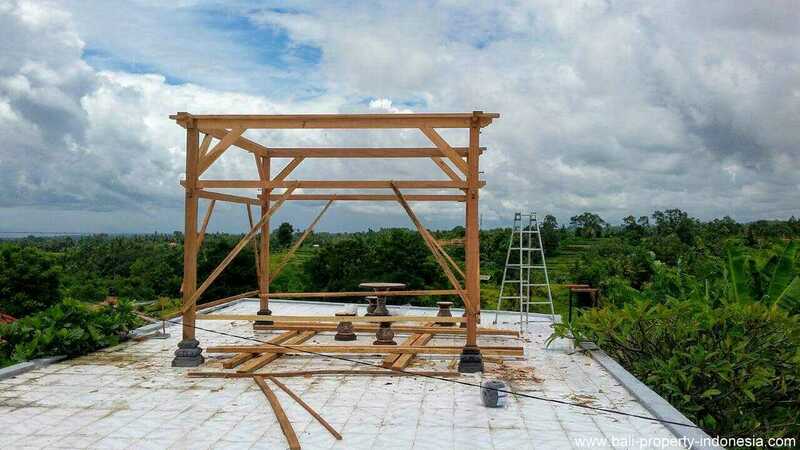 Yoga can be practiced here. 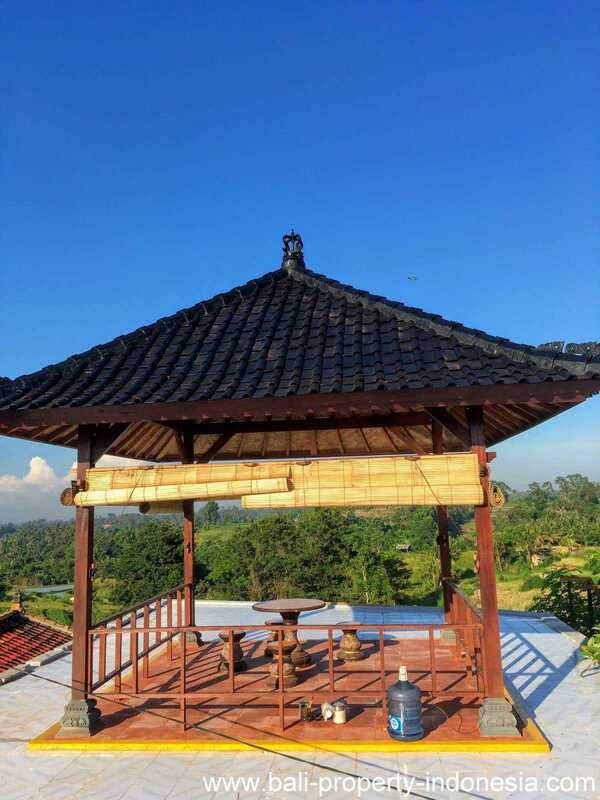 Klungkung itself is a nice and clean city. 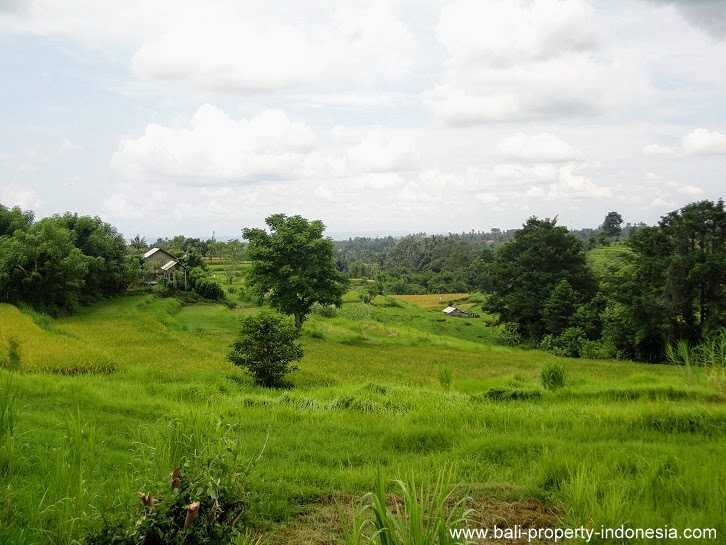 It is having a complete local market, a hospital and more local supermarkets. 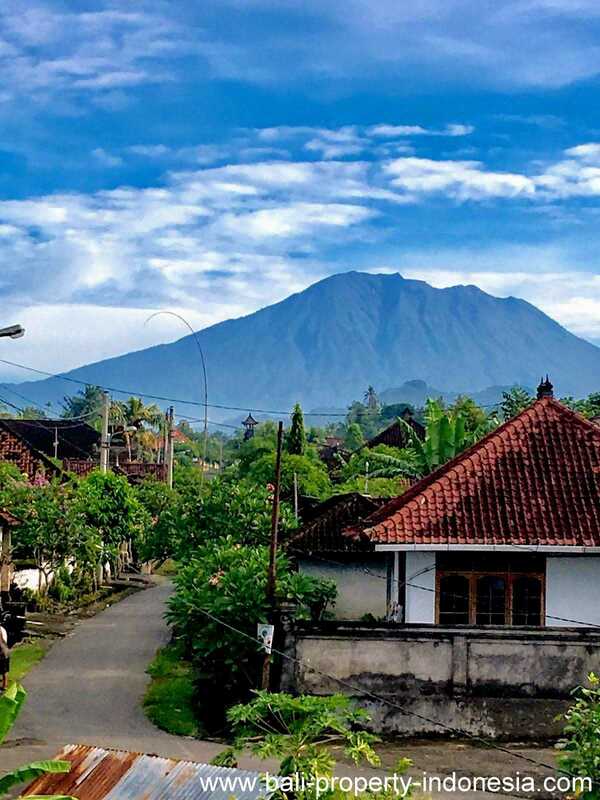 The slightly higher altitude is good for a not to hot climate. 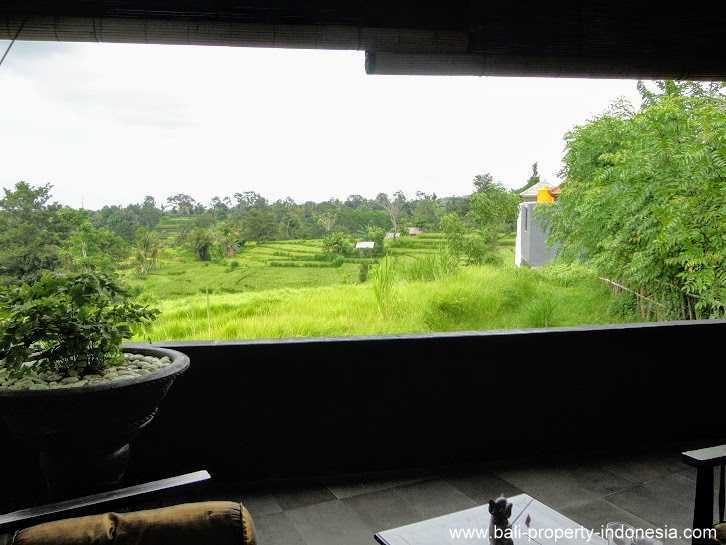 Ubud can be reached in about 40-45 minutes driving. 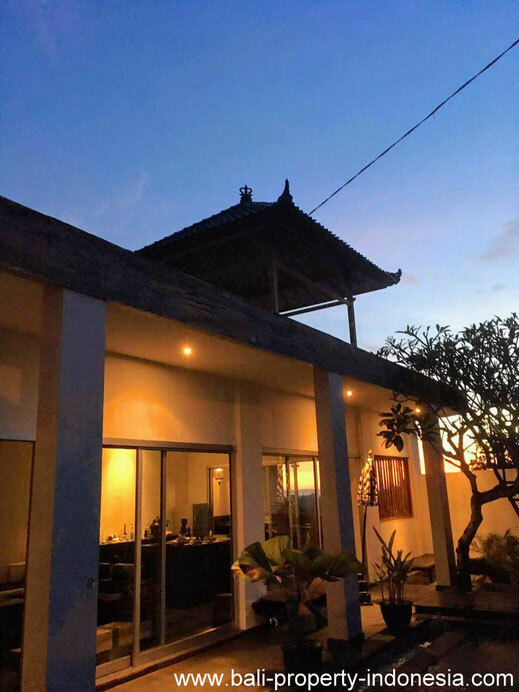 Sanur is also about 40 minutes driving from the villa and the nearest beach is just about 10 to 15 minutes driving away. 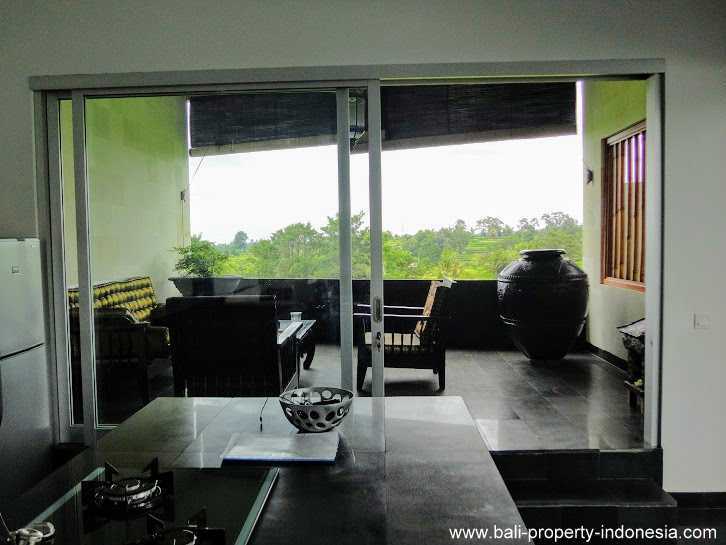 This property is perfect for a senior couple who like a relaxing life, having your coffee in the morning, reading a book at the panorama terrace. 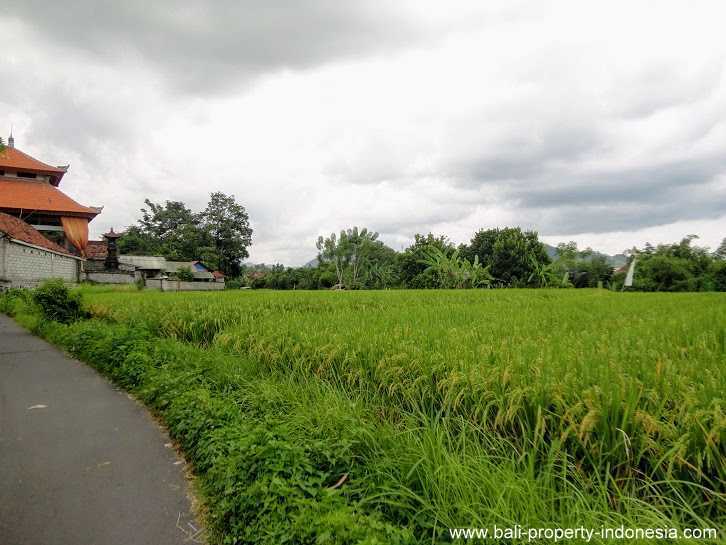 However, it is also possible to do some nice activities like hiking through the rice fields or cycling in the surrounding villages. 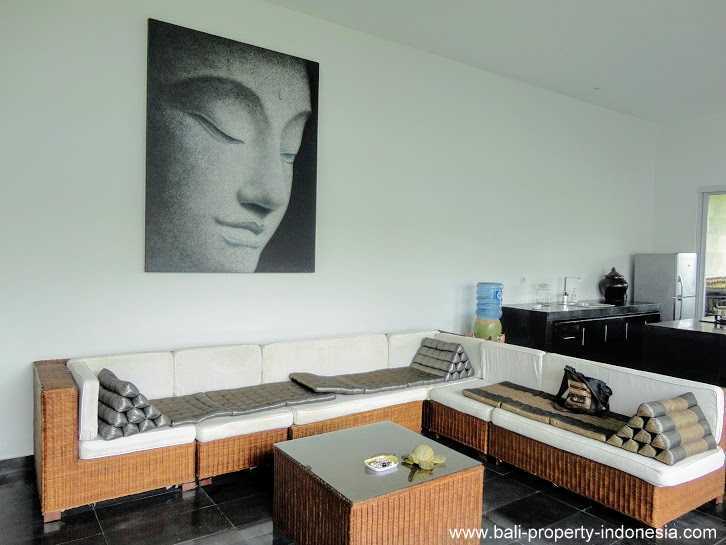 The villa is on offer for sale with a freehold title and with all its shown furniture.